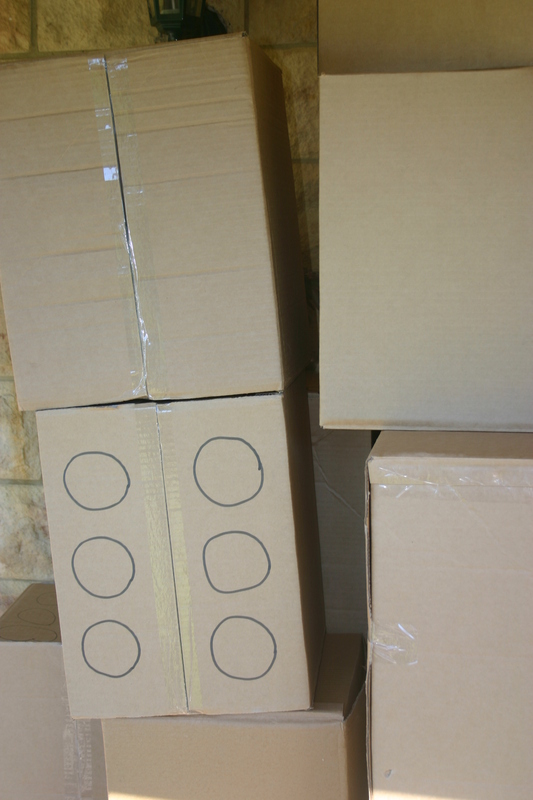 We’ve just moved house and have a heap of moving boxes stacked up in the garage. 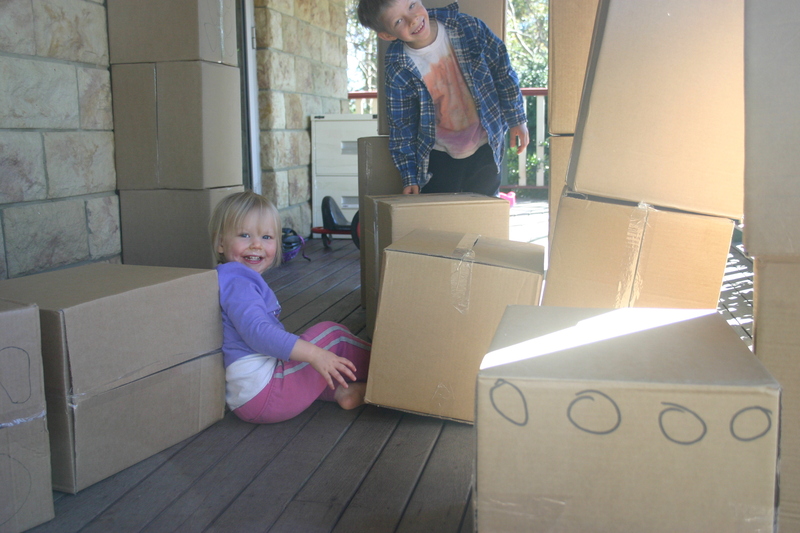 They were just sitting there waiting to be useful … but I am NOT in a hurry to move any time soon, so we opened about 20 of them up, turned them inside out and taped them back together and made BOX WORLD! I forgot about the toddler though. 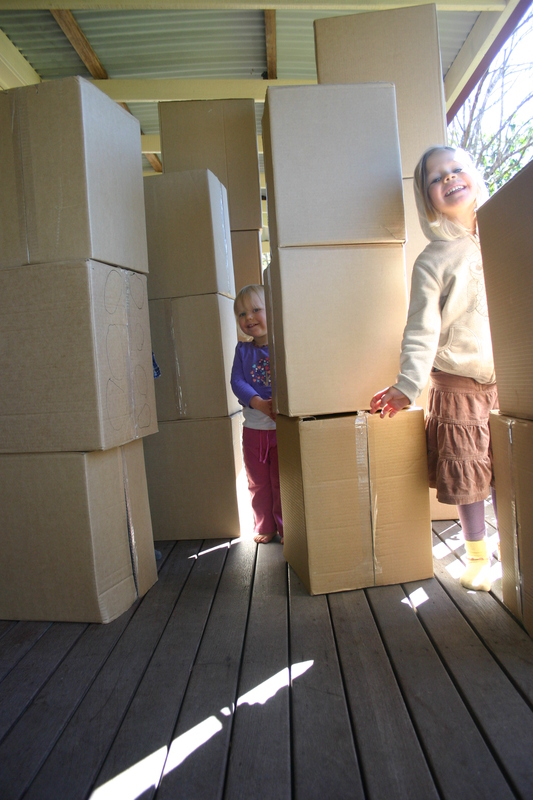 Small block towers are a temptation for 2 year olds – but enormous block towers? Irresistable. 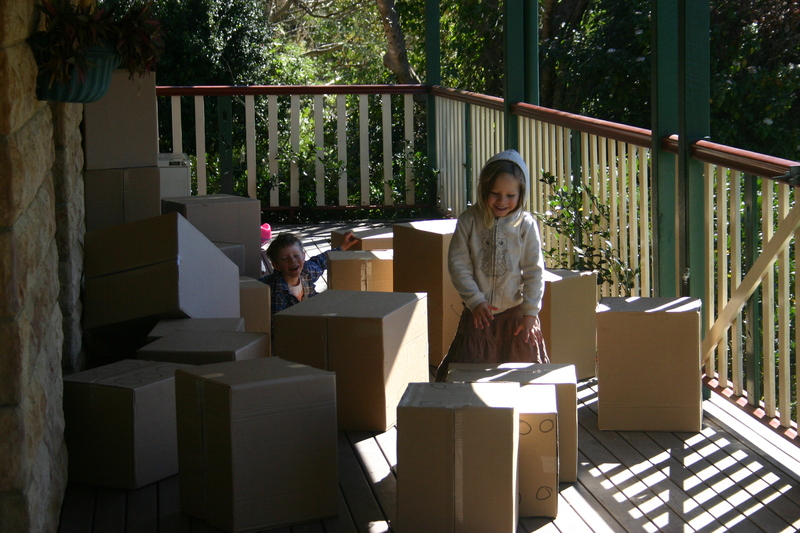 House building had to be stalled for a while so she could get the impulse to knock over towers out of her system. ← Recipe: Left Over Baked Rice Breakfast.